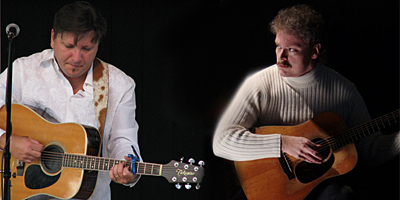 Tim Stafford and Bobby Starnes are childhood friends, accomplished songwriters and creative collaborators. 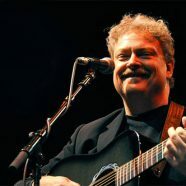 Tim is the Grammy-winning organizer of Blue Highway, the bluegrass super-group he has been with since 1994. Tim’s songs have been recorded by Ronnie Bowman, Claire Lynch, Mountain Heart, Dan Tyminski, Jim Hurst, Mark Newton, Scottie Sparks and the Lonesome River Band, in addition to Blue Highway. Bobby’s original songs have been recorded by Grasstowne, Larry Sparks, Blue Highway (three on their latest CD), Trey Hensley, Melonie Cannon (release date October 7), the Circuit Riders and Janette Williams. In addition to writing music with Tim Stafford over the past 25 years, Bobby has also co-written songs with Ronnie Bowman, Larry Cordle, Jerry Salley, Carl Jackson and others. So, Tim and Bobby, how did the two of you meet? From there, how did you first decide you wanted to collaborate together as songwriters? Bobby and I went to Ketron High School together in the Bloomingdale Community of Kingsport, TN. He was two years behind me, I believe. We knew each other through my grandma — it’s an amazing story, but after my grandfather died, my grandmother bought a ton of rock ‘n’ roll records and re-did her house with a music room. All the teenage kids used to hang out there, play cards, talk, listen to music. Her name was Ruby East. I was into bluegrass at the time and Bobby was playing country and rock. We first got together to write after I moved back to East TN from Ohio in the mid-80s. Bobby called me up and came over to the house to write, as I recall. “I Can’t Turn Off Her Memory (‘Cause Her Memory Turns Me On)” was the first song we ever wrote together, if I remember correctly. I still have a demo on a cassette tape somewhere of that song. When you’re creating an original piece of music, do you tend to write with a specific performer in mind or does that consideration come later? Rarely. Usually it’s an idea that starts it all off, but sometimes when we get into it, it might go a certain direction. Usually it’s a genre instead, like a country rocker, a bluegrass song, a ballad. Sometimes when we get into a song, depending on if it is a traditional or contemporary sounding tune, we will begin to think of who could do this particular song and we might lean a little in that direction. One of the great things about writing with Tim is he can imitate anybody! He’s amazing at it! So, if we do have a real country tune that we’re working on he might break into Vern Gosdin or John Conley. That’s always great for a laugh and helps keep things rolling along. As co-writers, how do you start creating a brand fresh song? Bobby has really good instincts–I’ve learned to trust ’em! It usually depends on the situation. Sometimes we don’t get together to write, but we end up doing one anyway. Usually the idea will dictate a melody structure, and I’ll start humming and playing something that I think fits the idea. To me, that’s really important–the melody needs to fit the lyric, to convey the idea well. one hundred or more songs that we have written, maybe five of them have been my melodies, the rest have been Tim’s melodies with maybe a suggestion here and there from me. the most important thing. Over the years we have learned that the strongest songs have both great melodies and great lyrics. Why compromise on either? In Part 2 of this interview, Tim and Bobby talk about some of their favorite songs they’ve co-written together, what they have learned over the years about the unique aspects of creative collaboration and a bit of advice for other songwriters who may be interested in co-writing.